We take a look back at the stars of January and who made an impact in the different stats categories. Dirk Williams topped the scoring charts for the second month in a row with 22.5 points per outing during a five-game stretch with Sharks team-mate Chris Alexander also hitting 20 points per game alongside Quincy Taylor, who fast-tracked his average with a 42-point showing on New Year’s Day. Rashad Hassan (19.8) and Matthew Bryan-Amaning (19.7) rounded out the top five. The league’s leading rebounder Willie Clayton again came out top in this department with 12.1 boards per game during a busy month for the Giants. Lester Prosper was second with 11.5 rebounds per game, while Hassan (10.2) was in third, closely followed by Ladarius Tabb and Anthony Elechi as they registered an average of 10 per game. 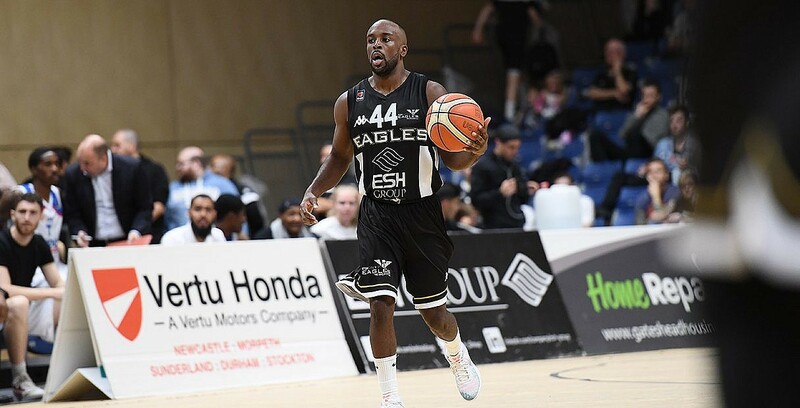 Rahmon Fletcher starred for the Eagles in handing out 9.0 assists per game in four appearances with Josh Wilcher (7.4) and Anthony Collins (7.2) completing the top three in providing for their team-mates. Donte Nicholas (6.8) and Mike McCall (6.1) also both averaged above six assists per outing. Another very efficient shooting month from Hassan as he led the league at 65.3% shooting from the floor with 47 makes from 72. Brandon Peel was close behind at 64.3% with Will Neighbour (62%) and CJ Gettys (60.6%) the only other players with a shooting percentage of above 60. Kieron Achara made five of his seven attempts from downtown at 71.4% accuracy with Quincy Taylor going at 66.7% on 8 of 12 shooting. Adam Thoseby hit 6 of 10 from 3-point range with Neighbour and Kenny Carpenter also above 50% for the month. Rob Marsden (11/11) and Thoseby (10/10) were the only players with 100% success from the foul line (with at least 10 attempts) during January with Dirk Williams going 9 of 9. Jules Dang Akodo only missed once from 16 attempts at 93.8% with Momcilo Latinovic close behind at 13 of 14. Nicholas again produced on the defensive end for the Raiders with 3.2 steals per game during January to lead the league in the category. Callum Jones was next best with 2.6 per outing, while Cheshire’s Dii’jon Allen-Jordan came up with 2.5 steals per game. Kervin Bristol was top of the blocks with 2.3 rejections per game for the Lions with Matthew Bryan-Amaning coming up with 2.0 per game including an impressive five on one occasion. For the Scorchers, Mo Williams produced 1.7 blocks per game since his arrival. *Minimum 3 games to qualify.